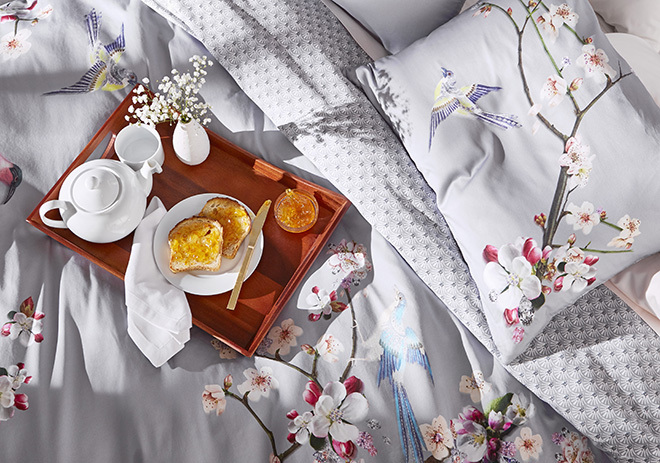 With the coming of spring comes the desire to nest, renew and revive your home. 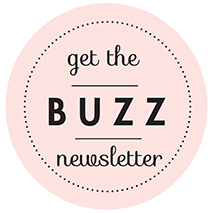 Freshen up your wedding registry or surprise your bridesmaids with these colorful, spring-inspired gifts and home decor. Apartment, townhouse, condo, cottage, or manse—no matter its size or scope, the place you’ll live together as a married couple is, above all else, a home. Keep this in mind when you register for your wedding, by selecting items you’ll love, for all the spaces you’ll occupy in the home you share. You can start with these top essentials for each happy place! For many couples, this space is the focus of the gift registry— and with good reason…actually lots of reasons. First off, the kitchen is where couples, and often their friends, family and guests, spend a whole bunch of time, especially in those first months and years of entertaining as a married couple. Sure, there’s the dining room and living room, but when there’s a party, and there’s cooking going on, everyone tends to gather in the kitchen. So it’s nice to have a well-stocked, good-looking one. Plus, there are just so many kitchen items to choose from, whether you’re a gourmet chef, an avid baker, or an “I-can-barely-boil-an-egg” amateur with a willingness to learn. The most intimate spaces in the newlywed home often are the most overlooked on to-be-wed registries. Don’t stumble into this common registry pitfall! While you may need to replace textile items more frequently than, say, cast-iron cookware or fine bone china, you can still register for your bedroom and bathroom with an eye toward luxury and durability. Instead of gadgets and trendy pieces, focus your registry scanner on high-quality bedroom and bathroom staples (with, perhaps, a techie treat just for fun! ), and make private time— each individually, or together—your favorite time of the day. Whether you’ve got acres of land, a small but well-tended garden, or simply a sweet town home patio, you’re likely to spend Houston’s fine-weather months (brief as they may be) enjoying the fresh air, and entertaining friends outdoors. 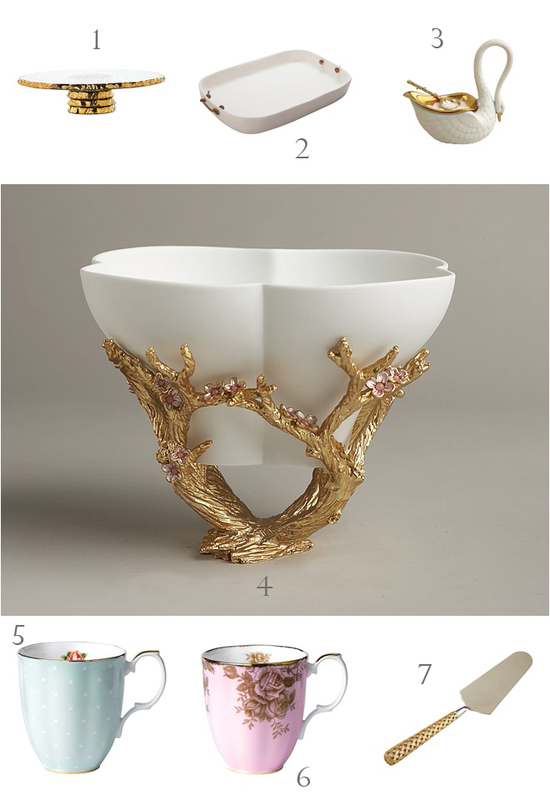 Don’t forget to make al-fresco elements a part of your registry list! Get your guy on board, and turn your attention to grilling, chilling and savoring the sunshine, with gifts designed for outdoor fun. Whether they’re connected in an open-floor-plan layout, or separate from one another, these two spaces generally constitute the heart of your home—the place where you relax, unwind, receive guests, entertain, eat, drink and celebrate. How you design and furnish your home’s living and dining spaces will depend on your taste and style preferences: Do you want to sink back and put your feet up without worrying about delicate doo-dads? 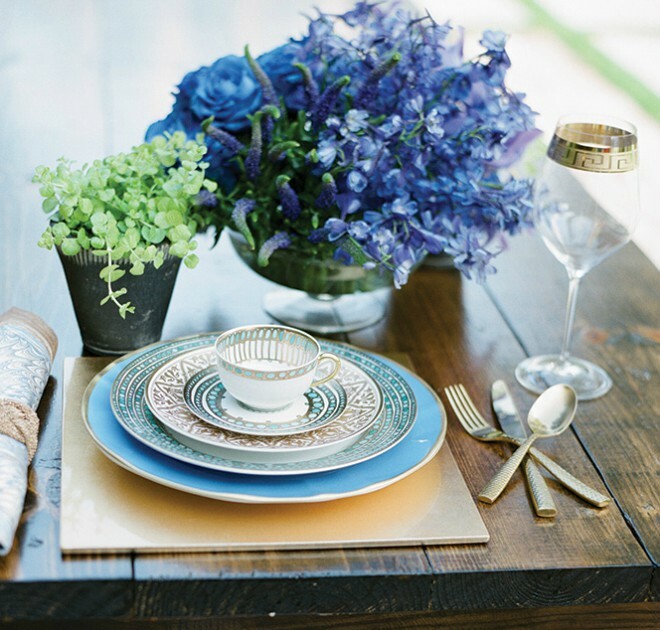 Do you love the look of a formal dinner table, laid out with perfect place settings and flickering tapers all aglow? Do you crave a cool lounge space where people can flow from table to sofa to bar, nibbling and sipping while the hum of conversation never stops? Think about the atmosphere you want to create, then dress it up with these living and dining-room essentials, which make down-time a good time, no matter your personal style. Pretty things before…and pretty things after. Your marriage and wedding likely will be filled with visual delights, from flowers to decor to lighting and more. 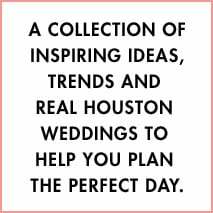 But we at Weddings in Houston feel that your wedding experience should be filled with beauty, from the moment you say, “Yes,” through all the the years of your marriage. 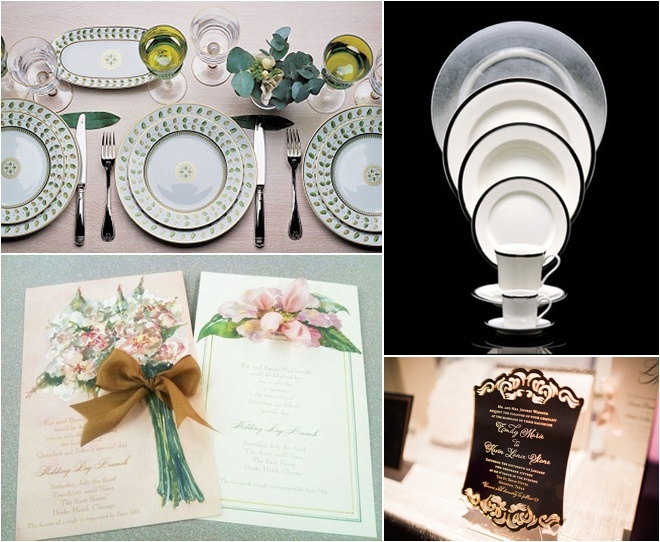 Experience exquisite invitation designs from Isabella Invitations, as well as invitations and fabulous tableware, home items, cookware, barware and more from iconic Houston retailer Bering’s. And make sure to check in with Celebrity China & Cookware for fine china, crystal and superb cookware and kitchen tools. Advance-sale tickets to Houston’s ONLY luxury wedding event are on sale now. Bonus: Purchase your tickets by 11:59 p.m. this Friday, Feb. 24, and you could WIN an incredible $1,000 Hotel Galvez & Spa Weekend Romance Escape!! Our winner will be notified next week, and announced live at the I Do! Wedding Soiree. Don’t miss out! Grab the scanner, lovelies! It’s time to start building that wedding gift registry. 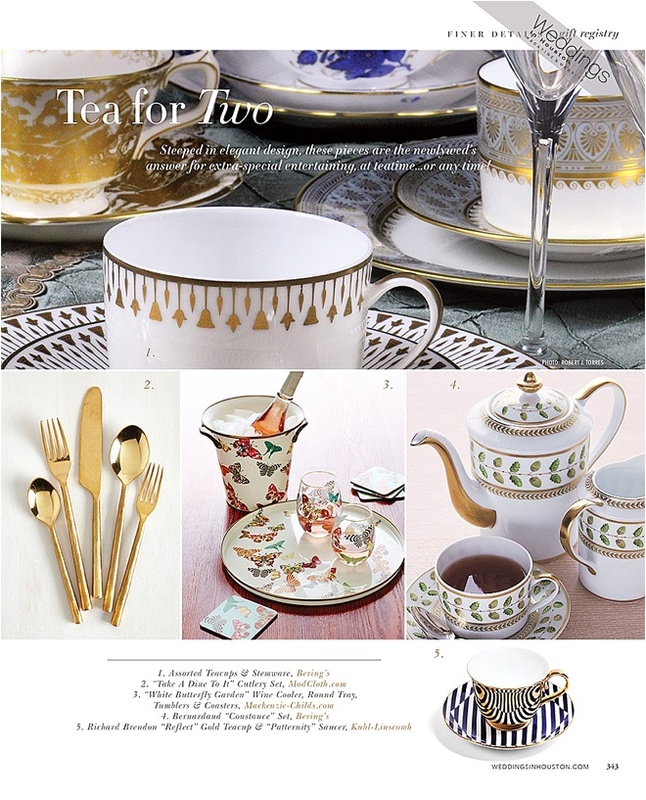 We pulled the perfect tea cups, saucers and stemware for entertaining guests, or simply serving up a romantic dinner for you and your boo. If you’re falling for these sweet pieces like us, you can register for some of these items at local Houston wedding-registry retailers and specialty stores! Ladies, I think we can all agree that we all have impulse buying problems…especially when it comes to wedding registry. Our editors narrowed it down to the classic, yet trendy items of the season that you’re gonna want to add to your wish list. Happy shopping, lovelies!